The Arlington-based company has established in Sydney's CBD with seven staff but is expecting to increase that number to 10 local jobs over the next 12 months. The NSW Department of Industry has helped secure the company's investment by assisting it with market advice and information and business and government introductions. Higher Logic provides marketing automation and online community platforms for associations and membership organisations. Higher Logic Head of Asia Pacific Robert Barnes said the new Martin Place office was the company's first international location outside the US. 'Our new Sydney office will enable Higher Logic to efficiently service customers and address rapidly growing demand for our cloud-based customer engagement platforms and services across the Asia Pacific region,' Mr Barnes said. 'For a US company setting up their first international office we needn’t look past Sydney. Having an office in iconic downtown Sydney supports our global brand and adds value beyond just having an overseas office. 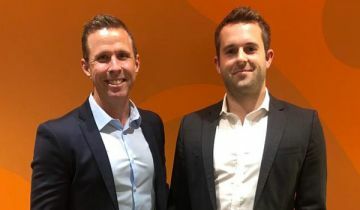 'Our Sydney office has already filled positions across sales, services, implementation and support, and is positioned for growth to fully support existing and new customers. Higher Logic reports it already has over 85 customers in the Asia Pacific region and worldwide supports more than 3,000 customers across 21 countries. The company was ranked one of 2018’s 500 fastest growing companies in North America by Deloitte and fastest growing private companies in the US by Inc. 5000.